The correct answer? Patients who used the skin cream were more likely to get worse than those who didn’t. Roughly 1 in 3 patients who used the skin cream got worse, but roughly 1 in 5 of those who didn’t use the skin cream got worse. Solving the problem requires skill in “numeracy”, basically the ability to solve math problems. 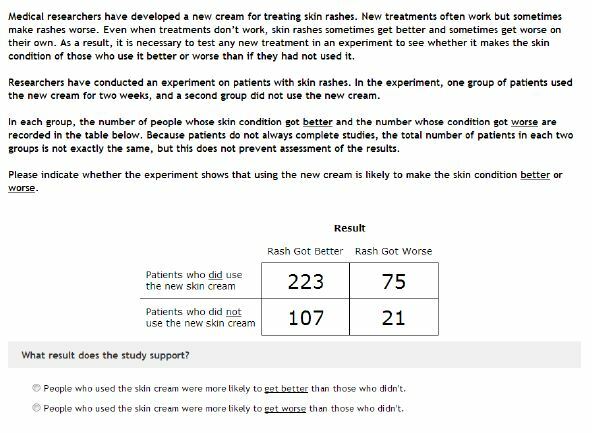 (For the study, the data were reversed for half of the participants and presented so that they suggested that the skin cream did work.) 59% of those in the study got the answer wrong. The more “numerate” the study participants were, the more likely they were to get the problem right. That was true whether the participants were liberal Democrats or conservative Republicans. 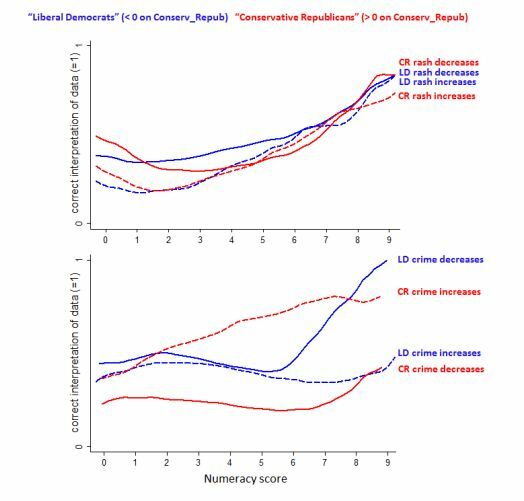 In other words, more knowledge (numeracy) does not increase people’s ability to reason when it comes to politically charged issues like gun control. People let their biases get in the way. So what does this have to do with oil and gas? It reminds me of the debate over hydraulic fracturing. It appears that the more those in favor of fracing are presented with facts showing its dangers, the more they deny those facts and argue it is safe; and the more those opposed to fracing are presented with facts showing its benefits, the more they argue in opposition. The same could be said of global warming, the Affordable Care Act, the presence of weapons of mass destruction in Iraq, abortion rights, gay marriage, evolution, etc.